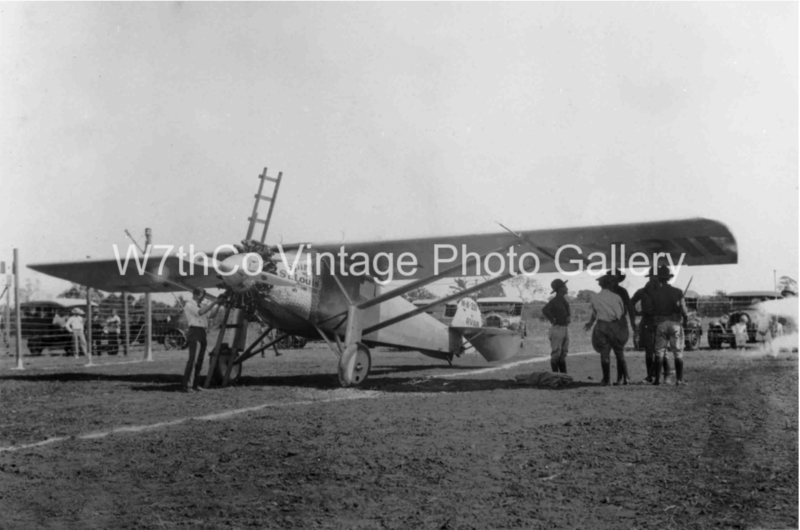 Due to some recent discoveries, such as a photo of Charles Lindbergh, we have enough airplane and aircraft images for an album. This will be one of those albums that will grow over time because, as we are learning, W.A. Orman had an interest in flying as many of his generation did. Today flight is so commonplace that it has lost the wonder that those born around 1900 most certainly felt. This collection includes photos from an aeronautical exposition in 1938, Charles Lindbergh and the Spirit of St. Louis from 1927 and other aircraft from the 1950’s and 60’s. However, we have no doubt we will find many more photos to add to the album in the coming months. Fingers crossed that we will find a photo of Bowser Frakes with one of his planes or even performing one of his daredevil stunts! So, with out further ado, we introduce the Airplane and Aircraft album.